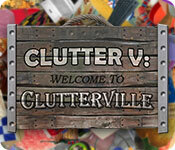 Clutter V: Welcome to Clutterville is rated 4.5 out of 5 by 64. Rated 5 out of 5 by gdial from BEST OF ALL CLUTTER GAMES I have played Clutter V at least 1000 times , and I still love it especially Big and small because extra points are given at the time 4 matches are made. I would love a clutter game with big and small , black and white , shadow play , treadmill , and coins. Rated 5 out of 5 by Sunshine566 from Excellent game I love hidden object games, and wanted something a little bit different. The game is very repetitious, but very challenging. 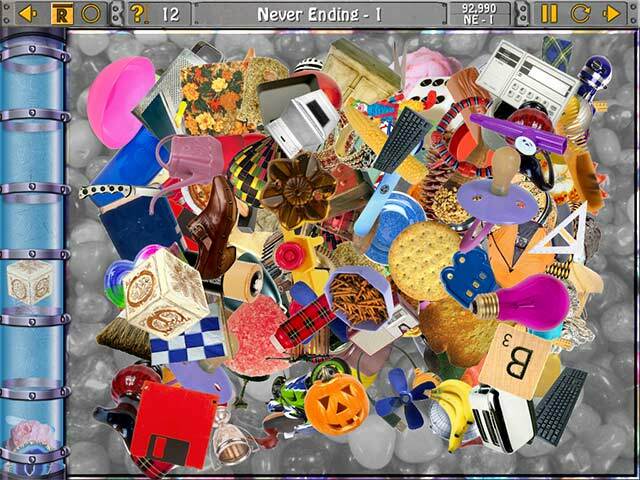 Rated 5 out of 5 by vikina43 from MY FAVORITE CLUTTER IS THIS ONE Addictive and fun. I have all clutter games but this one seems to be the perfect one for me. I keep playing and playing. Please tell Joe I want another game with the caves and sliding pictures. Thank You, Joe!!! Rated 5 out of 5 by lkbridg from Something for every HOG and puzzle lover. The entire Clutter series spoils you for any other game. 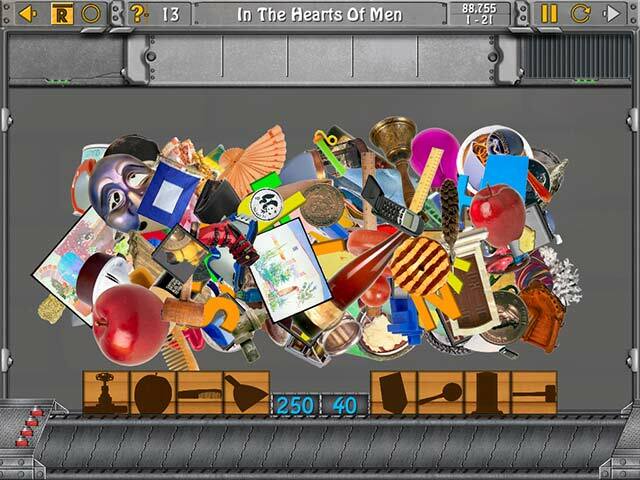 While matching piles of clutter is the mainstay of the game, I personally love the mini games in Clutter. This has a slider puzzle that I had never seen before. There is also a picture-swap. Another first: Cryptograms. Another plus of these puzzles is that you really get your money's worth. Forget the "hours of play". Welcome to Joe's days and weeks of play. Rated 5 out of 5 by oilinmylamp from Clutter games are awesome I have Clutter 1,2,,3, and 5. I especially like 5. Being able to choose which type of game to play is a real plus. I love Joe's story about how he decided to make this game. My favorite game is "Life is a Drag". Would welcome more of these games where you can drag the objects to find what I am looking for. Thanks Joe. I love the clutter games. Rated 5 out of 5 by catladyx10 from Addictive I absolutely love the Clutter series. I have had several strokes and find these games really help me build my thought processing. I get so absorbed playing this game that I don't realize how much time has passed and when I get ready to quit I tell myself, just one more game and when that one is over I play another one. Hard to pull myself away. Rated 5 out of 5 by Witchy55 from My Favorite Clutter Ability to X out of any screen; Will return you to where you left off last time; Can choose game types; Many difficulty levels. Rated 5 out of 5 by limetart from Absolutely loved playing this You can play fast and furious hidden object challenges with many variations such as identical pairs, similar pairs, 3 of a kind, targeted pairs, to beat the clock or leisurely piece together sliders or work out quotes. Good to fill in a few minutes or half an hour or more. Great graphics - you work with the same clutter and though the items become familiar the games become increasingly diffficult over time as you increase the pace. Rated 5 out of 5 by judemickN from ABSOLUTELY THE BEST! This is by far THE BEST clutter game yet! I just can't stop playing even after 3 months. The only one that comes close is the first Clutter. Love the challenge of Clutter V and the music is great. 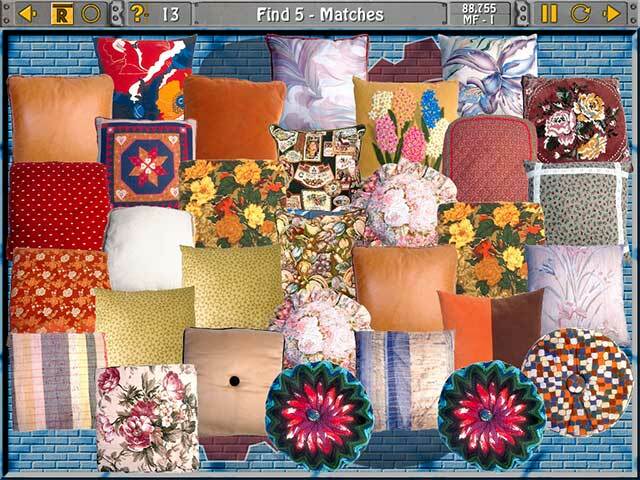 The other clutter games (and I've got them all) ended up being frustrating when you couldn't skip a puzzle or, as in the case of black & white clutter puzzles, unckeck them from coming up. Also, in the other games I ended up muting since the music became just annoying after a while. There's nothing not to love about Clutter V and I can't wait for the next version! Rated 5 out of 5 by laramieWyo from I don't need a story line Great new version of Clutter. Very minimal story line which is fine with me. I especially like some of the variations like "big and small" and "match three".